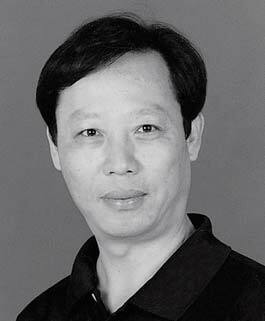 Tian Linhai, born in 1948 in Yongkang, Zhejiang province. Currently senior painter of the Shandong Painting Academy; painter of the Calligraphy and Painting Academy of Shandong Committee of the CPPCC; and member of the China Artists Association. In China, there are only two Confucian temples: one is the Northern Confucian Temple in the city of Qufu in Shandong province; the other is the Southern Confucian Temple, as depicted in this painting, in Quzhou in Zhejiang province. The artist employs traditional ink painting techniques and paints the compact and solemn architectural complex of the Confucian temple. 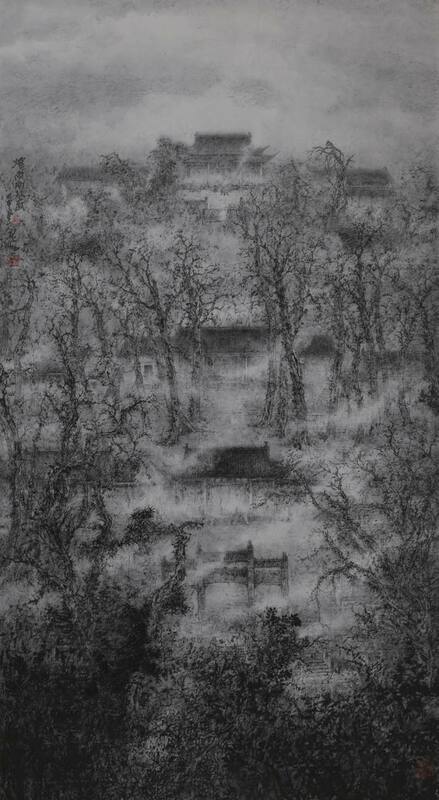 By way of a particular ink painting technique [su mo], the artist paints thick haze and noble old trees, which set the tone of his work and serve as a foil to the classic and dignified Confucian culture so influential in eastern civilizations, and even across the world. It is the artist’s aesthetical representation of the historical memory of a nation’s cultural construction and rejuvenation.